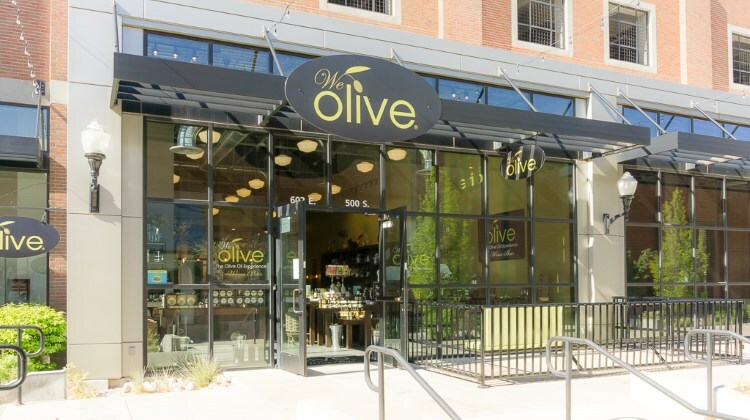 This past week I stopped by We Olive, one of the newest businesses to open in what’s quickly looking like an ever rejuvenated Trolley Square. 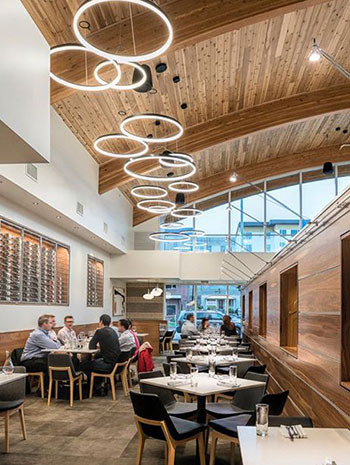 The 7th East location is the first Utah outlet of this boutique Californian chain that is part high end olive oil store, part restaurant and part wine bar. Owned and operated by mother and son duo Stephanie Ennis and Josh Garcia – Garcia gave me a tour of the space and the lowdown on the concept. 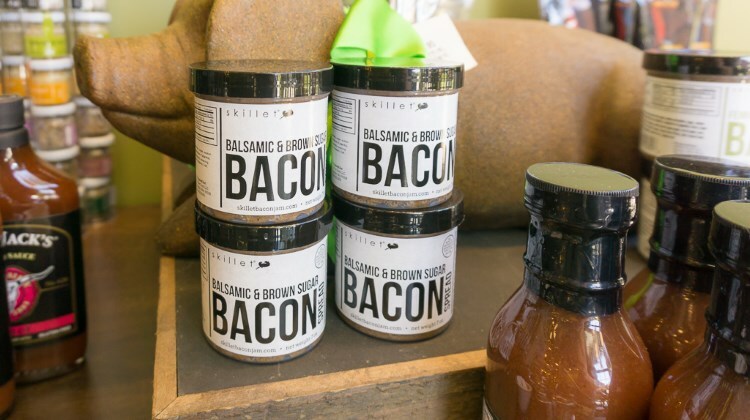 First up, acronym lovers will be pleased to know the business sells only COOC EVOO; that’s California Olive Oil Council certified Extra Virgin Olive Oil to you and me. What does that mean? Well, without going into the chemical analysis lets just say that this is the real deal. This isn’t the stuff you snagged at the grocery store for a seemingly too good to be true price. 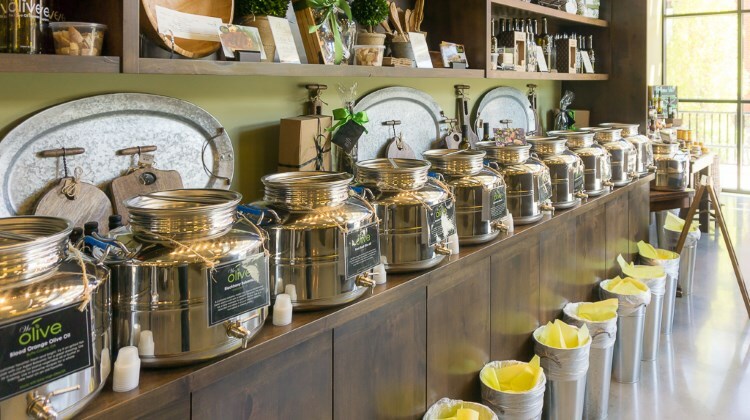 For their branded oils, We Olive source from smaller California growers and the line up regularly changes as supply from growers waxes and wanes. 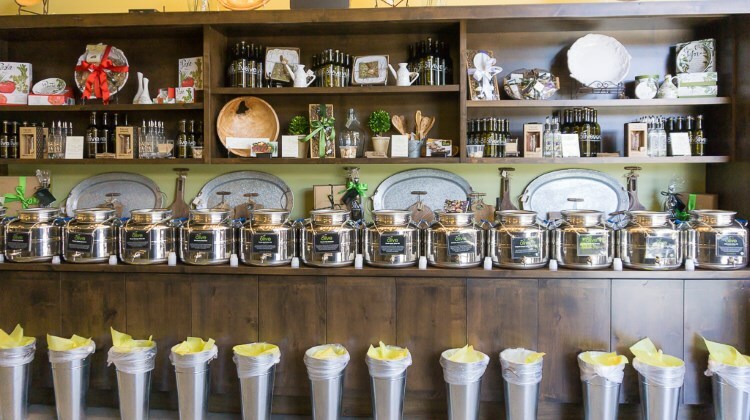 Moreover, as there’s a set shelf life for olive oil, We Olive guarantee that from the point of harvest, no oil on the shelves is older than 24 months; any longer than that and the garbage can beckons. I doubt the same can be said of that dubious, dust covered bottle you keep eyeing up during the weekly grocery store visit. Prices are pleasingly palatable too; any of the We Olive branded oils (or balsamic vinegar for that matter) can be yours for $1.25 an ounce. That means a 375ml bottle is just $23 and if you bring it back cleaned for a refill, the price is around $16. 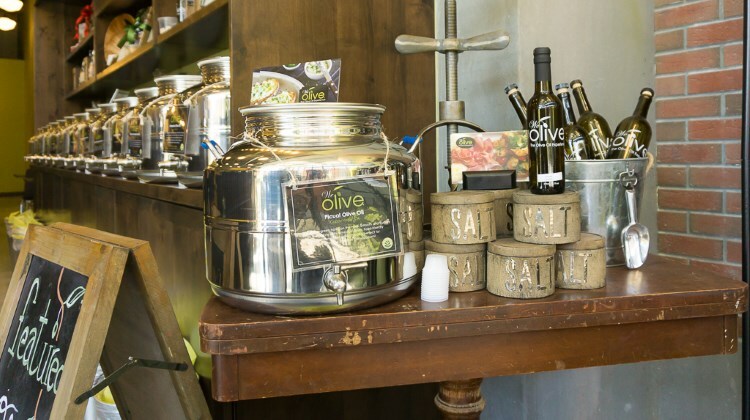 Each store, the SLC outlet included, is also allowed to stock other non We Olive brand oils, provided they’re COOC certified as EVOO too. Prices on these can vary based on the producer. 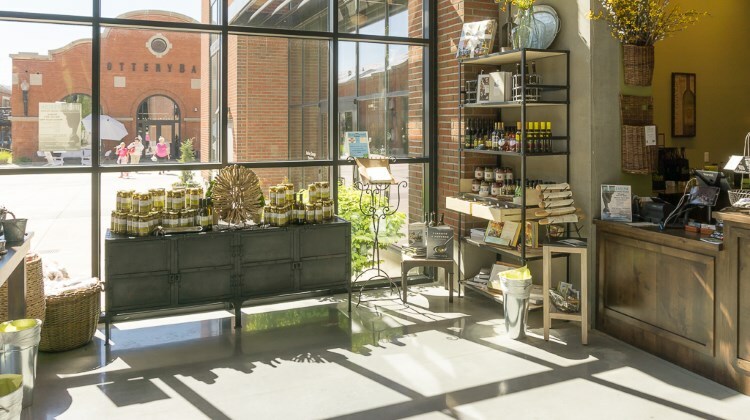 You’ll find Garcia at the store most days of the week overseeing proceedings and leading guests through tastings – a key component of the We Olive experience. 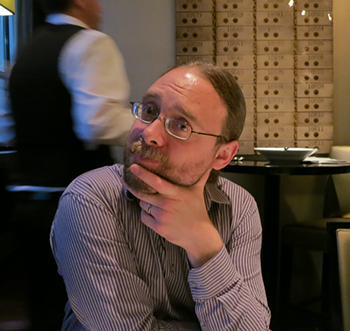 Frankly, compared to the intimidating/snobby experiences I’ve had locally before at some places – this was night and day; personable, interested, engaged. 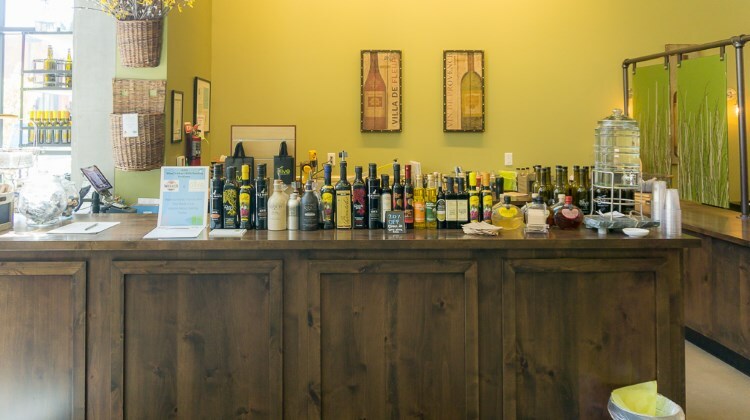 The tasting process itself isn’t unlike wine tasting, indeed part of COOC certification involves a sommelier-esque tasting of the oil and its characteristics. You’ll need to visit yourself to learn the tasting process, but when you do, you’ll discover delicate oils with smooth and buttery flavors through to robust and powerful oils, with slight bitterness and strong peppery finishes. That bitterness? 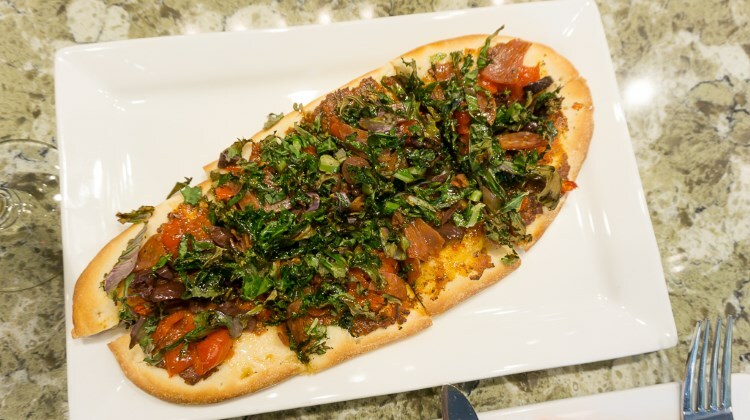 It comes from polyphenol, the famed antioxidant present in olive oil. The more polyphenol, the more bitter and robust the oil. This was just a drop in the ocean of olive oil knowledge Garcia shared during my visit. If you want to geek out on oils or indeed any of the product in store, seek him or his team out, they know the stuff. 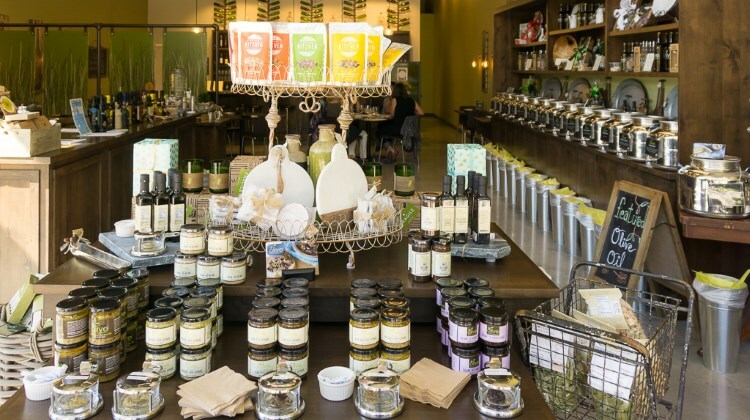 In addition to artisan EVOO, We Olive also carries a focused range of hand-crafted tapenades, mustards, pestos and similar products. Most of these are provided by the larger We Olive brand. 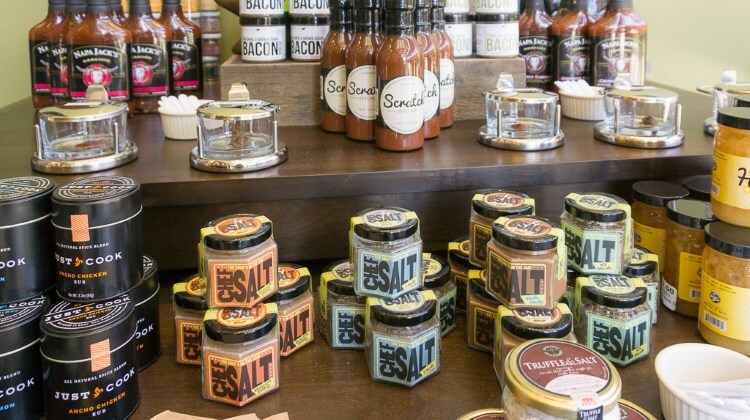 You’ll also find a smattering of thoughtful, local product too. 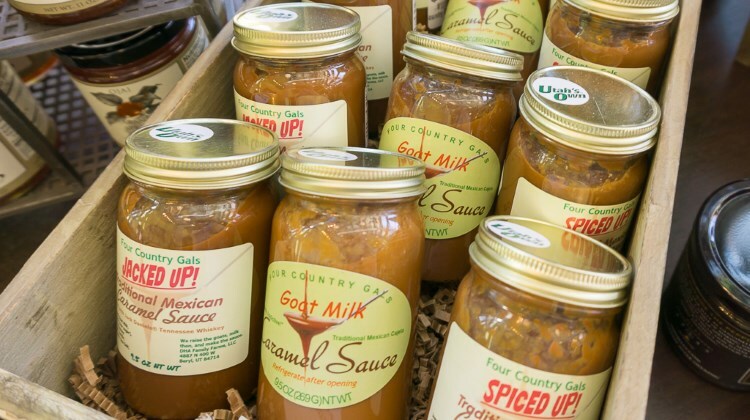 Garcia proudly pointed out the basket of Four Country Gals Mexican Caramel Sauce as the first of hopefully many local products he hopes to showcase for guests. 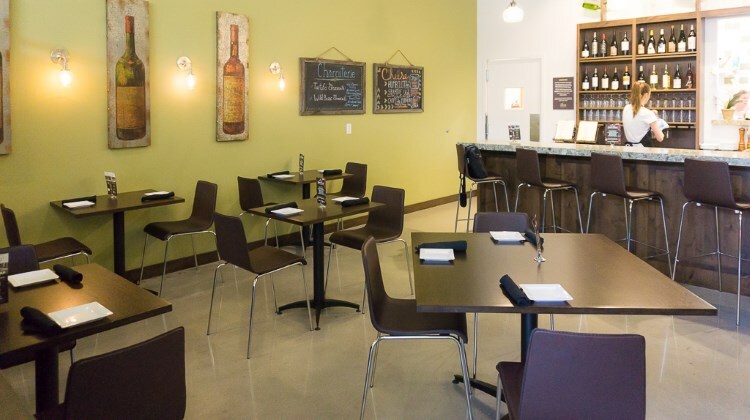 The second component of the business is the kitchen and wine bar area where a light bites menu menu leans heavily on product from around the store. Not sure how to use the Eqyptian Dukkah condiment you just spied? 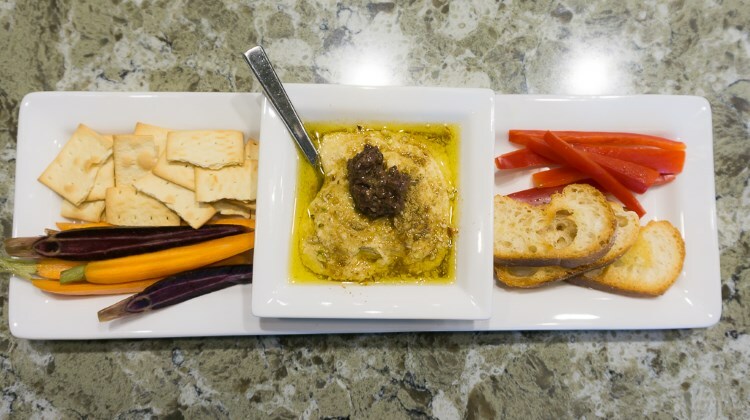 No problem, just order up the hummus plate finished with We Olive’s garlic blended EVOO and topped with duqqa. All ingredients listed on the menu in light green can be found in store for purchase. 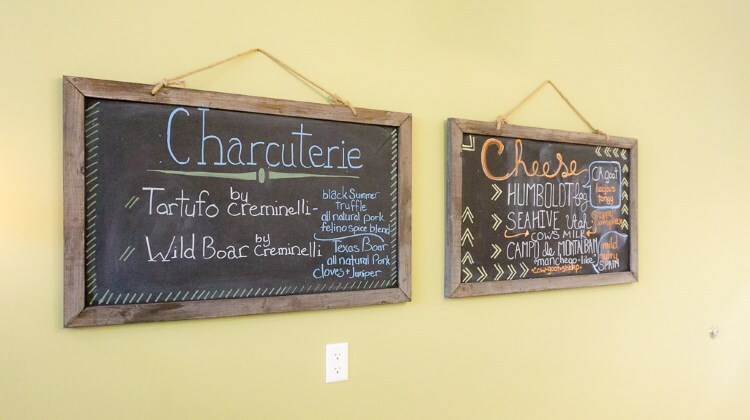 The dishes are uncomplicated and accessible and very complementary to the wine and beer menus: charcuterie, cheese plates, salads, panini, flatbreads; everyone should be able to find something to pair alongside a Proper Brewing Co. beer or Ruth Lewandowski wine. 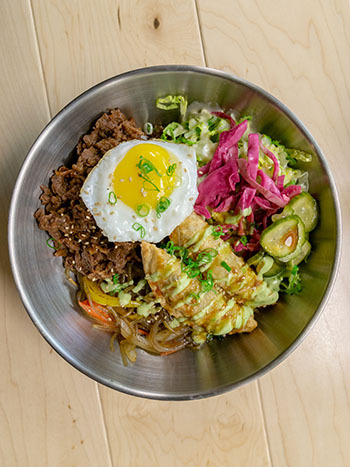 Garcia also happens to be a graduate of NYC’s French Culinary Institute and counts former stints at Boulevard Bistro and seven years at The New Yorker on his resume – so you can rest assured the food is anything but an afterthought. 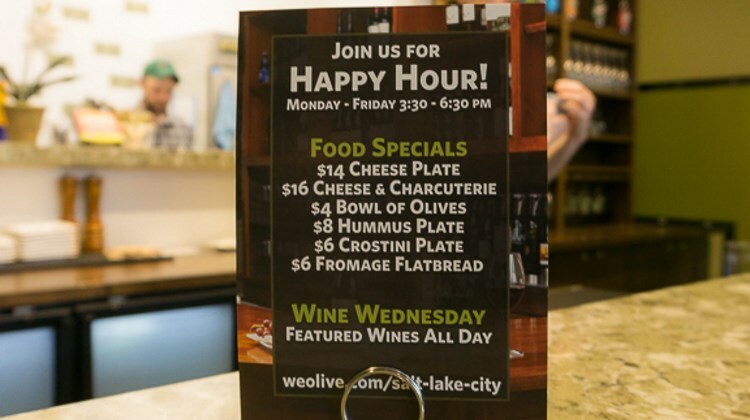 I often hesitate to write about larger chains or brands, but I found the We Olive concept and product genuinely enjoyable; o.k. I admit it, any time I can shop and end my trip with a glass of wine, I’m all in. With a patio out front just a week or three from opening as I write, that’s only more inviting an option in the summer sun. Disclosure: We Olive invited me down to the store and comped the food I tasted.